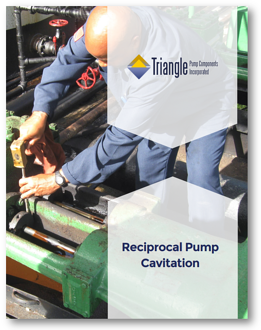 Reciprocal Pump Cavitation | Triangle Pump Components Inc. Occurring in all types of pumps and often experienced in reciprocal plunger pump applications, cavitation can cause serious damage to pumps over time, resulting in pump erosion, noise, erratic power consumption, and vibration. Often, unchecked cavitation also damages the pump components and eventually leads to the complete failure of the plunger pump. Fill out the form to find out how to reduce the risk of serious damage, erosion, noise and erratic power consumption.